When forest fires in BC closed The Rockwall Trail, our 5-day backpacking trip for August had to undergo a last minute change in location. Fortunately, one of our group was familiar with a hike in the Bighorn Country, west of Rocky Mountain House in Alberta, that would fill the void. The good news was that no reservations were required for the back country camp sites. Our trip would take us first to Lake of the Falls then to Landslide Lake. Our group assembled at the Lake of the Falls trailhead near the Cline River on the David Thompson Highway, about a half hour drive southwest of Nordegg, AB. The first day’s hike of about 11 km took us about halfway to Lake of the Falls. On Day 2 it was on to Lake of the Falls. At the confluence of Landslide Lake Creek and Entry Creek the trail forks. To the left is the trail to Landslide Lake. The trail to the right takes you over a little bridge and on to the start of the climb to Landslide Lake. The steepest part of the climb is about 1.5 km but feels much longer. The effort is worth it though as when you finally arrive at Lake of the Falls it is absolutely beautiful. The total distance from the trailhead to the lake is about 18 km with an elevation gain of about 1345 m (about 4200 ft). The next day was a free day. 3 of our group went on a day hike while I opted to laze about and watch the rest of the group fish. It was a beautiful summer day and was nice just to take it easy and enjoy the scenery. The next day we departed for Landslide Lake. Our route took us back down the trail to the fork and then another steep climb to Landslide Lake. As you near the lake, the large boulders strewn everywhere make it very clear how the lake got its name. As we got to the lake a thunderstorm rolled in. Donning our rain gear, we continued to the far end of the lake. Along the way, some in the group saw lightening strike a tree on the far side of the lake – definitely too close for comfort! We reached the camping area and set up our tents in the rain. The nice weather of the first few days had now turned into a cold wet evening. Our intended route for our final day was about a 14 km hike up and over a high mountain pass before dropping down to the trailhead. It is rated as hard with a fair amount of scrambling. With the dropping temperatures and risk of further rain that could turn to snow at higher altitudes, we elected to instead hike back the way we had come. 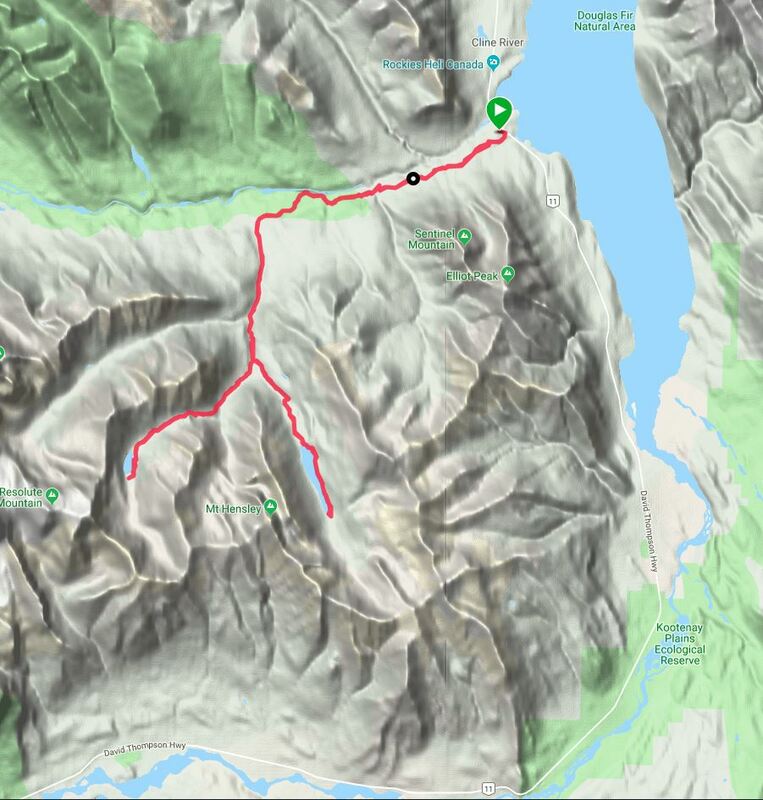 While this route turned out to be nearly 20 km, with close to a 50 pound pack on the back, it was probably still easier than the “short” route over the mountain pass. At least the rain had stopped but I was one tired camper by the time we got back to our cars. Over this past summer I managed to get up to Jasper National Park in Alberta several times. The first time was in early June, a trip that was partly a reconnaissance trip for a visit by a couple of my California camera club friends. My sunrise shoot along the Athabasca River was a bit lack lustre as there wasn’t a cloud in the sky. I did get a view of the moon, though, as the rising sun lit up the mountain peaks. At one of the many lakes in Jasper, I did catch a nice mountain reflection as a thin layer of fog covered the water. The following morning, sunrise was an even greater bust but early morning reflections were gorgeous. I also found a nice river shot along Hwy 93A. I capped off the day with a hike to a waterfall above Miette Hotsprings followed by a nice afternoon soak in the hot pool. At the end of July I returned to Jasper to meet up with a couple of my camera buddies for a couple of days of camping and photography. It was a lot of fun showing off the park to two friends who had not been there before, as well as enjoying two full days of photography. A foggy morning led to some playing around with other subject matter to photograph. We visited Athabasca Falls early in the morning before the tour buses and the hordes of tourists showed up. Over the years of visiting Jasper, I had never hiked the Valley of the Five Lakes but I will definitely do it again. The lakes are beautiful! And, yes, there was wildlife (click on the gallery below to see the full-sized images). My final visit was a five-day canoeing trip on Maligne Lake in September with friends James and Garry. As has been our custom on the several previous times we have done this trip, we spent the first night at Fisherman’s Bay, roughly half way down the 21 km lake. I am not a fisherman but one thing I have learned on these trips is how tasty Brook Trout is when it goes pretty much from the water into the frying pan! Since our last visit, the campground had been upgraded with new tables and bear lockers. Also new was the “high tech composting outhouse” (R) replacing the “barrel biffie” (L). I was very impressed with ALL of the improvements! Our next two nights were at the Coronet Creek Campground at the far end of the lake. This campground had also been upgraded with new tables and bear lockers (but same old “throne with a view”). This gave us a full day to explore. James and I took the canoe across the bay and hiked inland up a valley following a stream. With no trail, the hike involved a bit of bushwhacking and a lot of guessing as to the best way to proceed. We had a great hike and saw a number of nice little waterfalls along the way. Nothing like a margarita by the fire to end the day! Oh the way back up the lake we spent another night at Fisherman’s Bay. The following day we battled a headwind for about an hour before calmer water gave us an easier paddle back to Home Bay. Last Spring we drove up the Oregon Coast on our return to Canada. We have made this trip several times now with varying weather conditions. On of the highlights of our trip was La Conner, WA. Not only is it a picturesque little town, but we arrived just as the tulip fields were coming into bloom. I was especially fortunate that a camera club buddy, Annie, who summers in Bellingham, met me in La Conner and took me on a tour of the surrounding tulip fields. Can a photo give you an earworm (a song playing over and over in your head)? Who knows? Let’s find out! 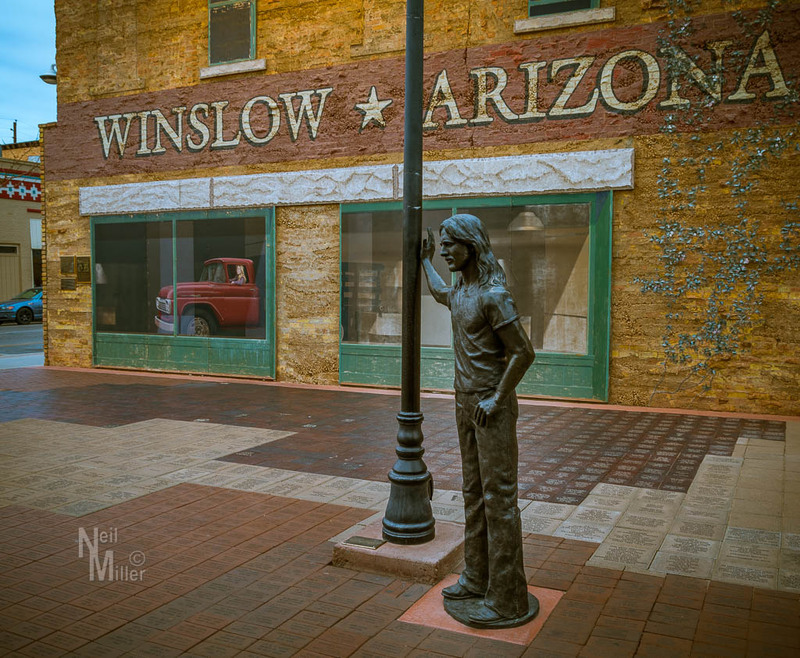 On the drive back from Canyon de Chelly our route would take us past Winslow, AZ. Of course I couldn’t pass up the chance to photograph “The Corner” – you know, the one in the song. So here, for your viewing pleasure, are some photos of the corner. Is that song starting to worm its way in? Have you got a full-bore earworm now? Don’t say I didn’t warn you! While its playing in your head, leave a comment with your favourite memory associated with the song. Our journey continued with about a 100 mile drive from Monument Valley to Canyon de Chelly National Monument. As was Monument Valley, Canyon de Chelly (pronounced “de Shay“) is located on Navajo Tribal Land. While one is free to drive the rim of the canyon to various outlooks, to visit the floor of the canyon one must be accompanied by a Park Ranger or Navajo guide. The Monument is actually comprised of three canyons carved out by streams: de Chelly, del Muerte, and Black Rock. The canyon’s history is really the history of the Ancestral Puebloans (also referred to as Anasazi) who lived in the cliff dwellings and, more recently, the Navajo. In the winter of 1864, Colonel Kit Carson attacked and laid seige to the Navajo in the Battle of Canyon de Chelly. Faced with starvation the Navajo ultimately surrendered and were marched to the Bosque Redondo reservation near Fort Sumner. Four years later they were allowed to return to their lands. Today about 40 Navajo families live within the Canyon. Our first afternoon was spent touring the rim of the canyons and shooting down into them. The next day we took a tour of the canyon floor then ended the day at a couple of the outlooks again looking down into the canyon. 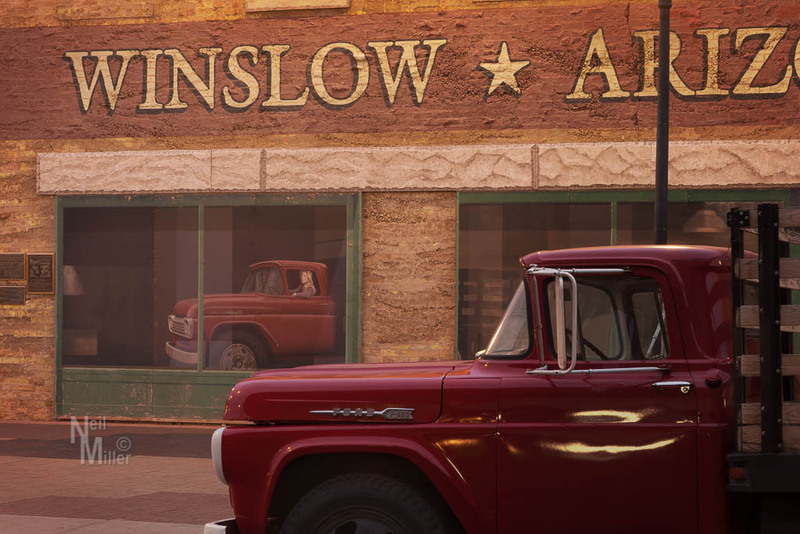 Next … a throwback to an Eagles’ tune. Last March, along with a group of photographer friends, I journeyed to Monument Valley. This collection of massive sandstone buttes is located in northeastern Arizona, straddling the border with Utah. The valley is on Navajo Tribal Land. To visit the valley you must first buy a permit from the Navajo Nation Parks & Recreation. While you can do a self-guided tour, the best way to visit is to hire a Navajo tour guide. There are quite a number of tour operators to choose from. For a photographer, it is well worth the additional cost to do a photography tour. 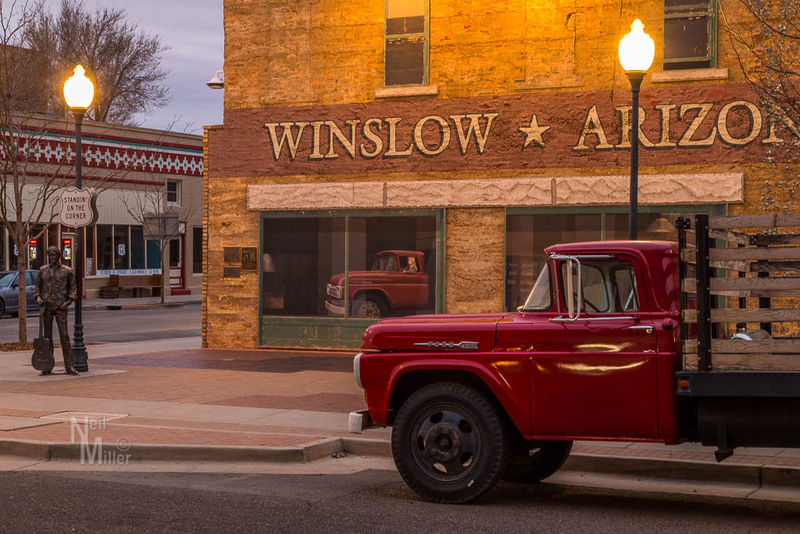 We used Phillips Photography Tours and found them to be excellent. 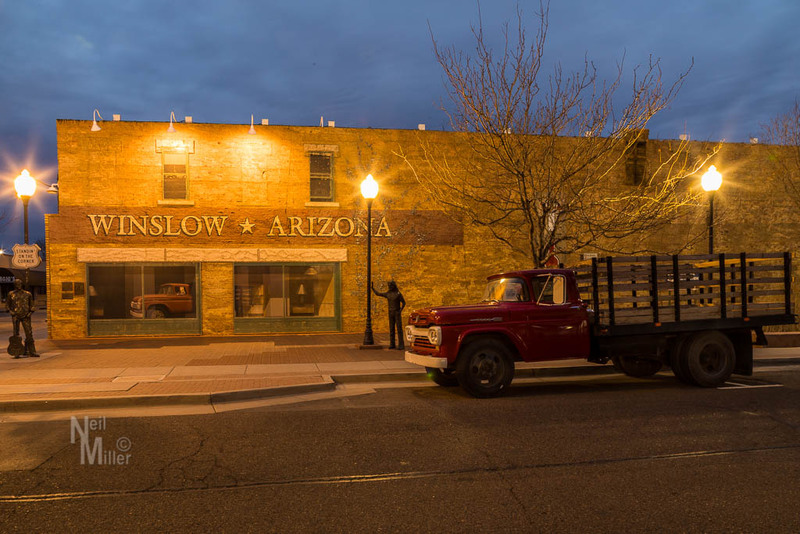 If you have the time, I would recommend, in addition to one or more of their other tours, the Hunt’s Mesa Overnight Tour. The jeep ride up to the Mesa alone is worth the price of admission! Arriving at the Mesa in time for sundown, you are treated to an incredible vista. While you are shooting, the guides are setting up camp and starting supper. Once it got too dark to shoot we enjoyed an incredible feast featuring steak cooked on an open fire. The next morning we were up early to catch sunrise before starting the journey back down. Following are some of my favourite shots from Monument Valley. Next up, Canyon de Chelly. The morning of our final day in Mendoza was free time, so I took advantage of the opportunity to explore the area around our hotel. Across the street from our hotel was the Plaza Indepencia, the largest park in the vicinity. Tree- lined streets took you to four other parks within a few blocks of each other. The area was beautiful and quite pleasant to stroll around. Gentle rain was falling as we arrived, that afternoon, at the final, and perhaps most uniquely-designed winery of our tour. O. Fournier winery is located in the Uco Valley. The winery is, if I recall correctly, 7 stories high – most of it underground. Using gravity to move the wine saves the use of pumps. Grapes are unloaded on the “roof” (at ground level) and move down through the floors as the transformation to fine wine takes place. A central column, with a skylight at the top, carries light into the depths of the building, reducing the need for artificial lighting. Another unique feature was the barrel room. 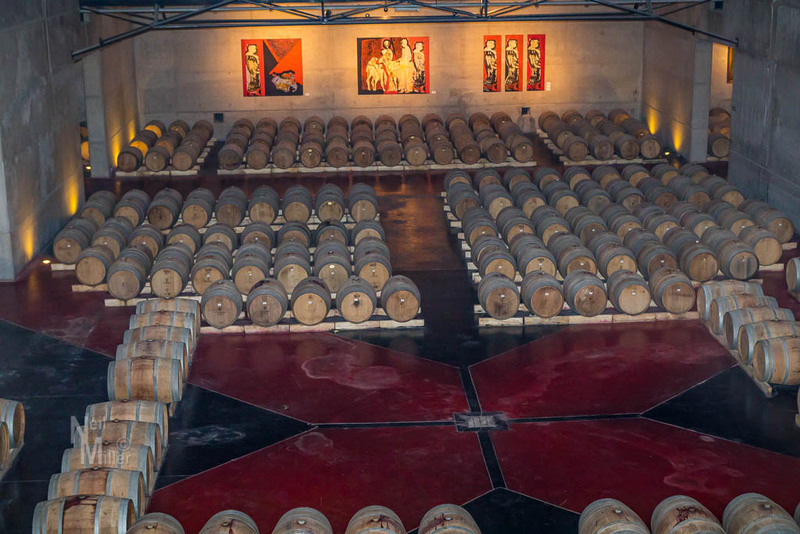 Holding only a fraction of the number of barrels it was built for, the walls of the room are lined with art. Looking down from the catwalk above the room, it is certainly an impressive gallery! From the gallery/barrel room we entered the “library” which holds wines of different vintages and labels instead of books. The shelves surround a large boardroom table. Now this is a library I’d happily spend time in! 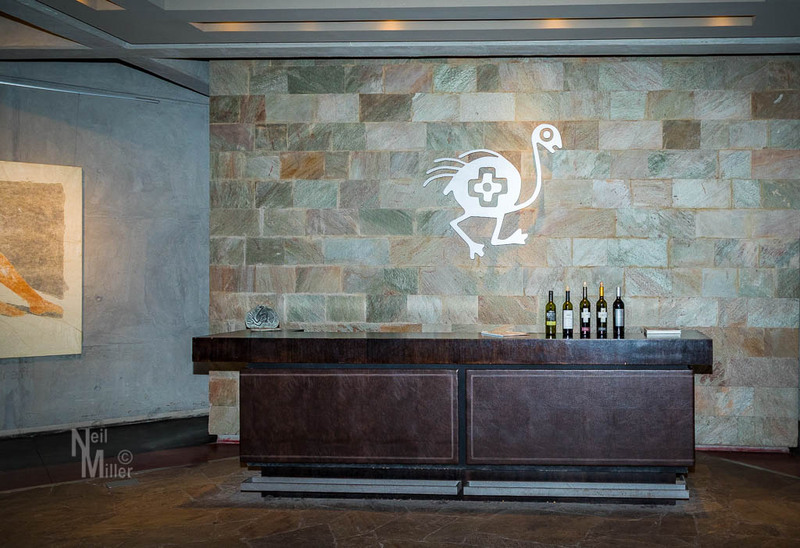 An underground passageway returned us to the dining room from where we had started our winery tour. Here we would enjoy our final dinner in Argentina, accompanied by some great O. Fournier wines. 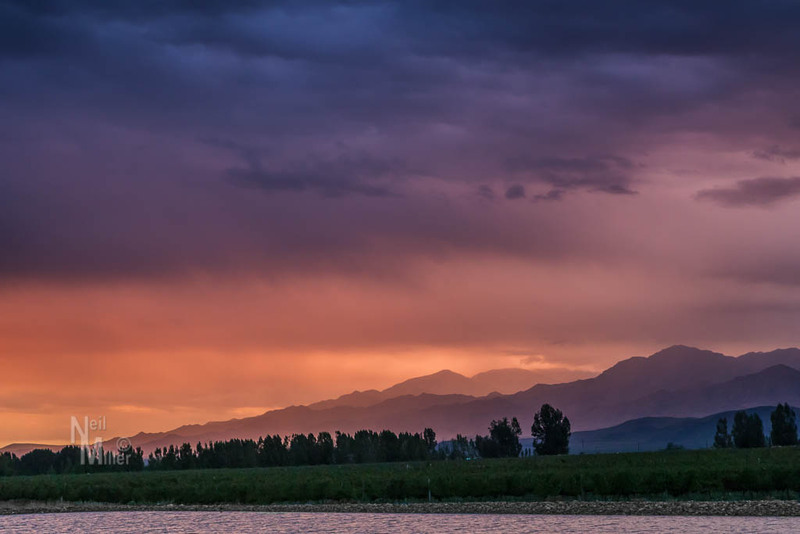 The rain had let up, leading to an incredible view out the windows, across the pond and vineyards, to the sun setting over the Andes. What a perfect ending to an incredible tour of some of the finest wineries in Chile and Argentina. Our tour was more than just a series of tastings. We had the opportunity to see where wines, in some cases that I had been buying for years, came from. In talking to the wonderful, friendly folks at the wineries, we learned more than just about the wine. We learned about the culture, the backgrounds of the winemakers, and the history of the wineries in what has become an important wine-making region in the world. In so many ways it was a voyage of discovery. My thanks to Janine and Daryl for being such incredible, friendly and attentive tour leaders. Our flight took us up over the Andes from Chile to Argentina; more specifically from Santiago to Mendoza: from the land of Carmenere to the land of Malbec. 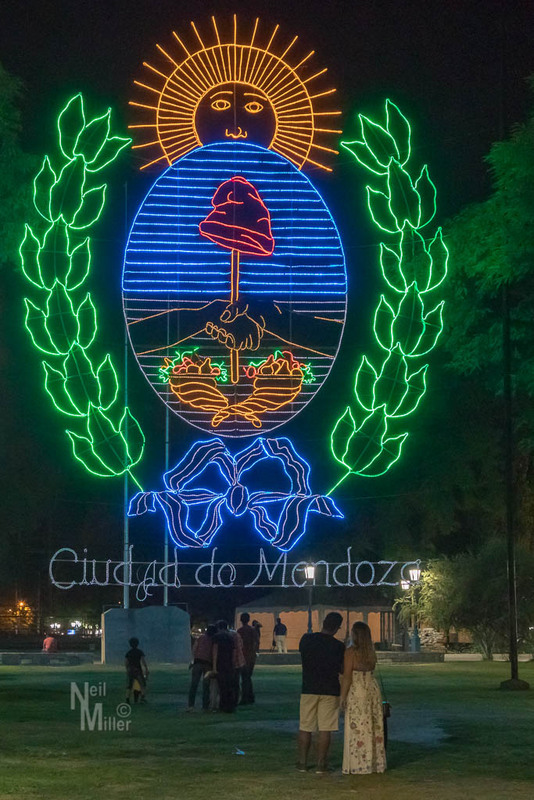 The city of Mendoza is the capital of the Province of Mendoza. Here we would spend the remainder of our Opimian Society sponsored South American wine tour. Our local guide met us at the airport and took us on a tour of the city before we headed to our hotel. A somewhat unique feature in Mendoza are trenches that line the streets. They are part of an irrigation system that brings water from the Andes and serve the purpose of watering the trees that line the streets. The one stop we made on the tour was atop Cerro de la Gloria (Glory Hill). 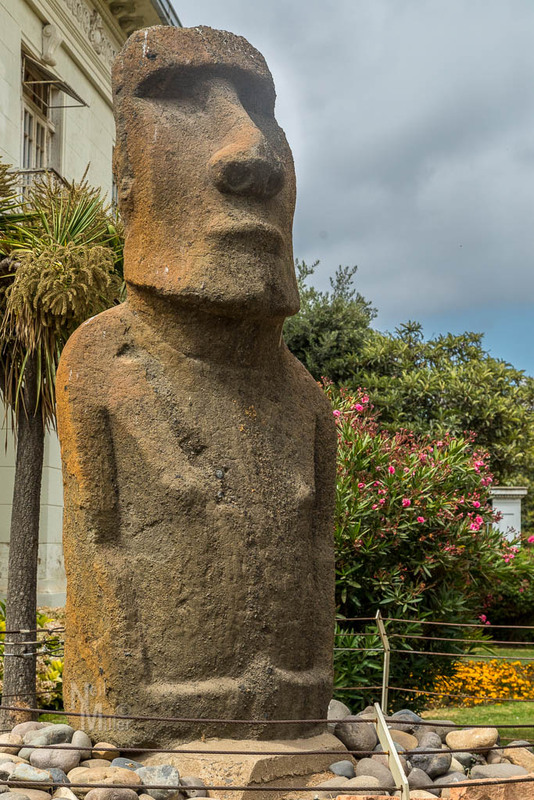 At its summit is a monument to the Army of the Andes. The panels on each side of the monument depict different parts of the country’s history. Following hotel check-in and lunch, we set off for Bodega Mauricio Lorca. Our visit started with a tasting then a tour of the winery. 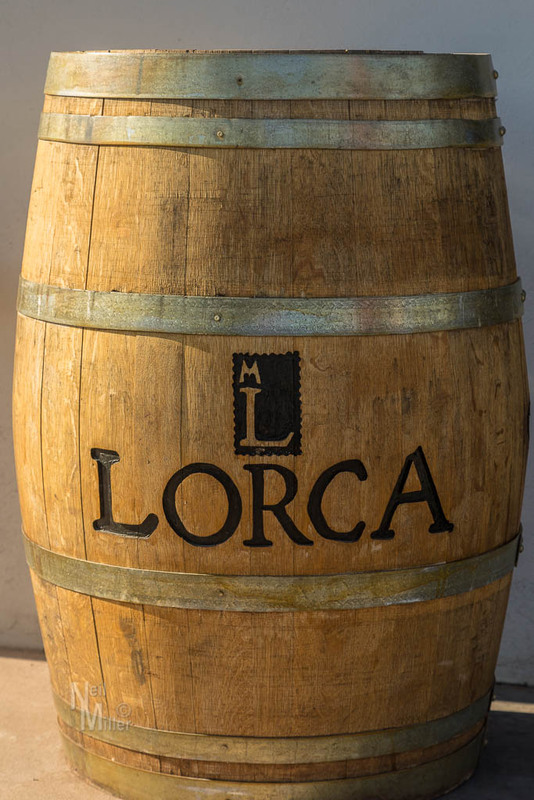 Like many of the wineries we visited, this winery made use of both concrete tanks and oak barrels for aging the wine. As the sun got lower on the horizon, we enjoyed appetizers and wine on the patio before moving inside for a fantastic barbequed dinner. 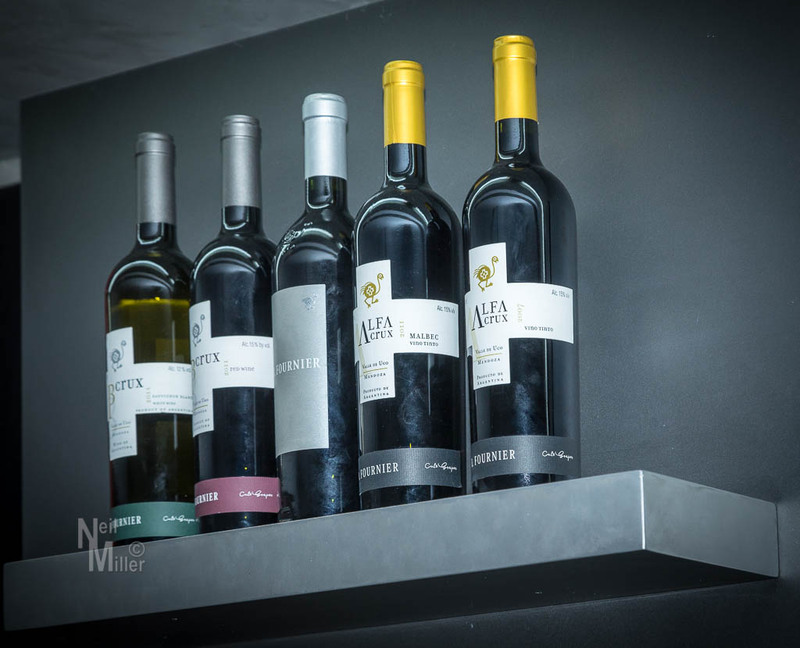 You can’t beat fine wine and fine food! 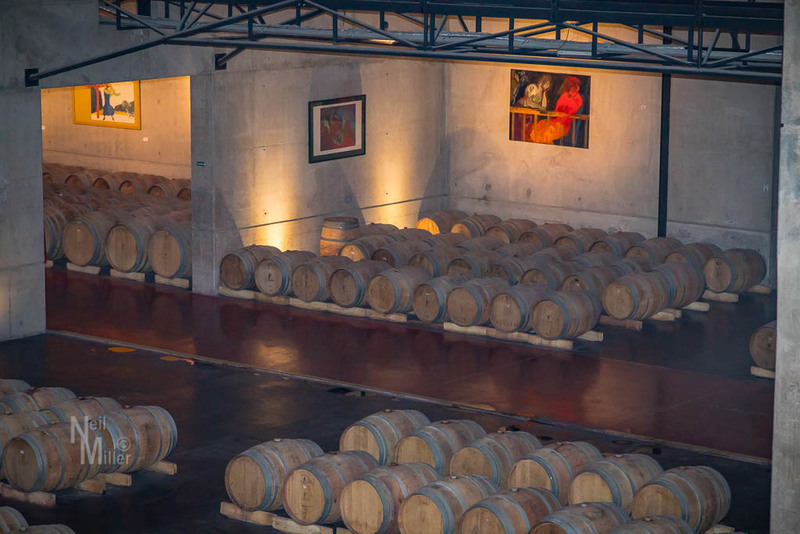 The next day was a triple-header: two wineries and an olive oil factory. We started the day at Bodega Renacer. 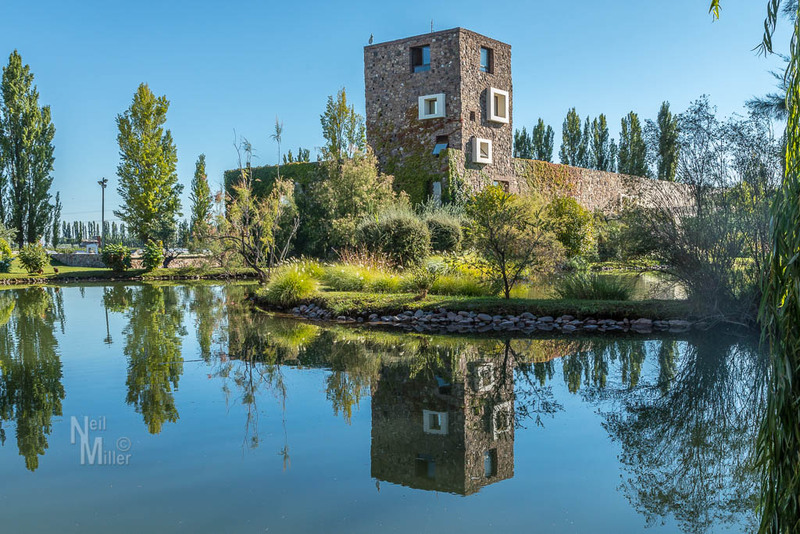 The stone tower of the winery reflecting in the pond certainly gives a great first impression! A tour of the vineyard followed a tasting under a canopy. In the vineyard we were watched over by 3 hawks that had taken up residence in the area. From the vineyard we toured the winery. A feature not seen at other wineries, but that we would see again on our last day, was how trucks transporting grapes unloaded into chutes on the roof. The grapes are then fed by gravity to the destemming machine and press below, rather than using augers. 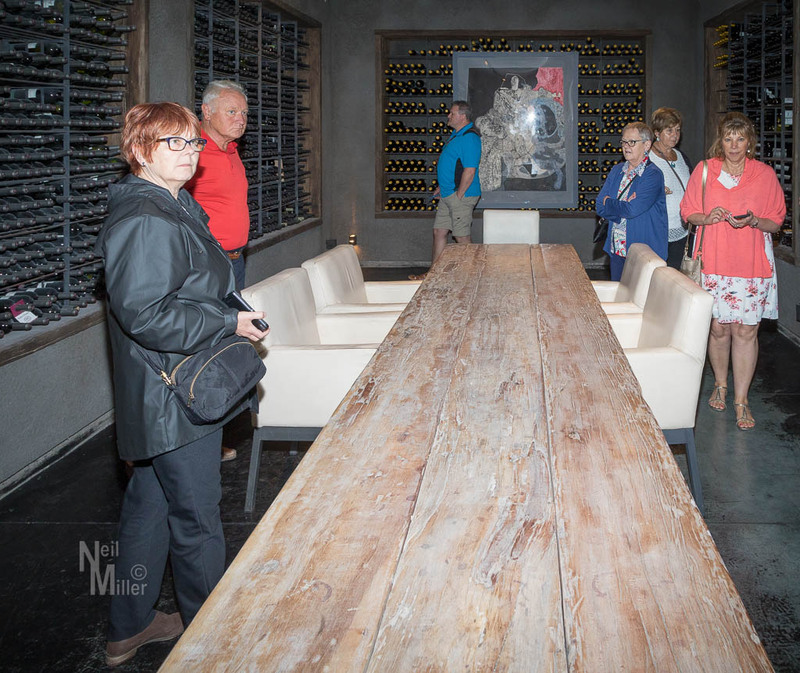 The final stop in the tour was the barrel room with it’s huge, round boardroom table. 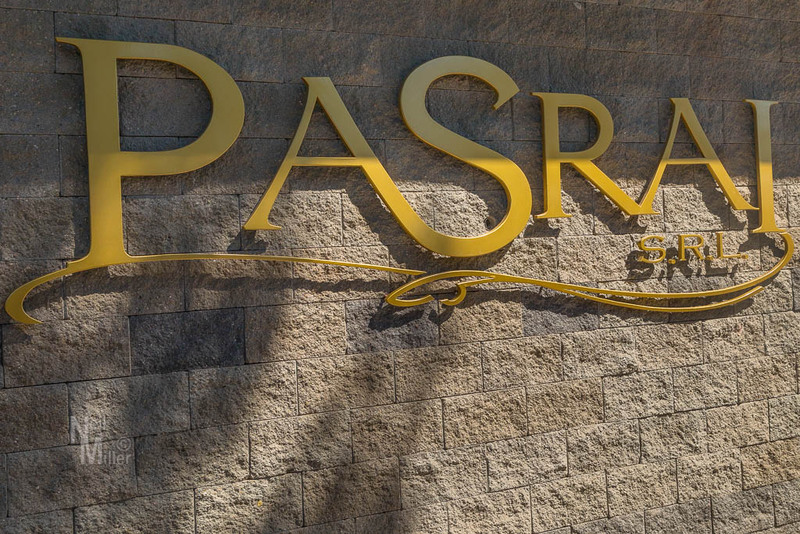 Our next stop was Olivícola Pasrai. In the pressing room we learned about the making of olive oil. We were then taken to the gift shop where we had a chance to see some of the different products made from olive oil as well as a tasting of variously flavoured olive oil. Our final stop of the day was Bodegas Alta Vista. One of the things I enjoy about many wineries is the combination of historic buildings and modern wine-making equipment. Alta Vista dates back to 1899 but the buildings have been fully modernized. We began with a tour of the winery followed by a tasting. 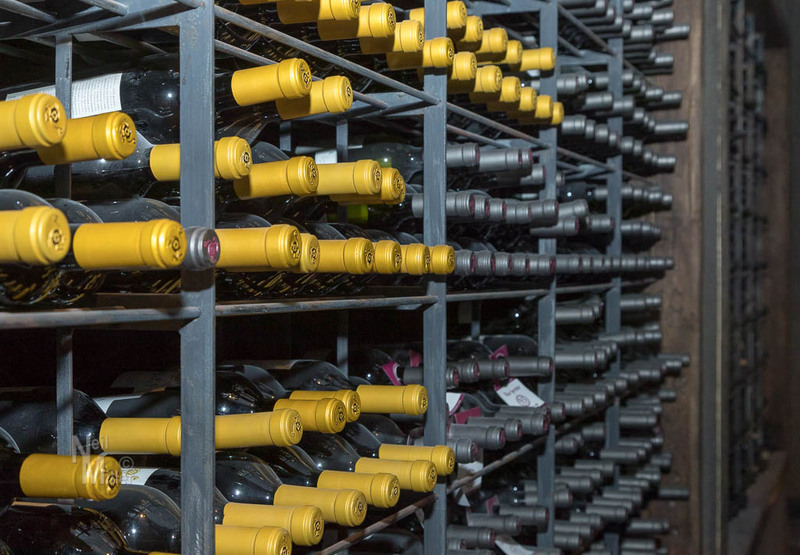 So many wines, so little time! Stay tuned for our final day in Mendoza. 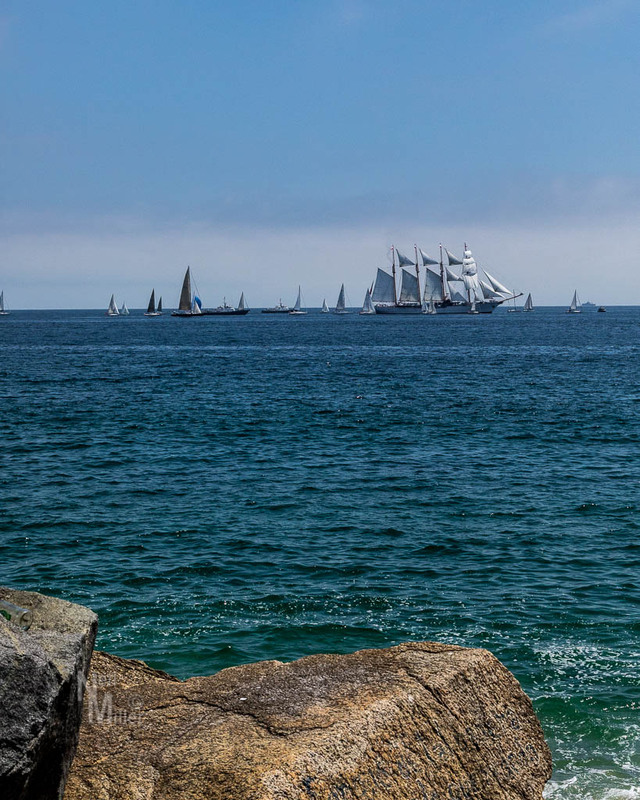 From Santiago, our journey took us to Santa Cruz, Chile for a two-night stay. Enroute we stopped at Viu Manent winery. A special treat at this winery was a tour of the vineyard in horse-drawn carriages followed by a tasting of their fine wines. Our visit wrapped up with lunch. Our lodgings were at the Hotel Santa Cruz Plaza, a beautiful old hotel in the heart of the city. A stained-glass skylight adorned the elevator shaft and a further stained-glass dome covered the restaurant area. 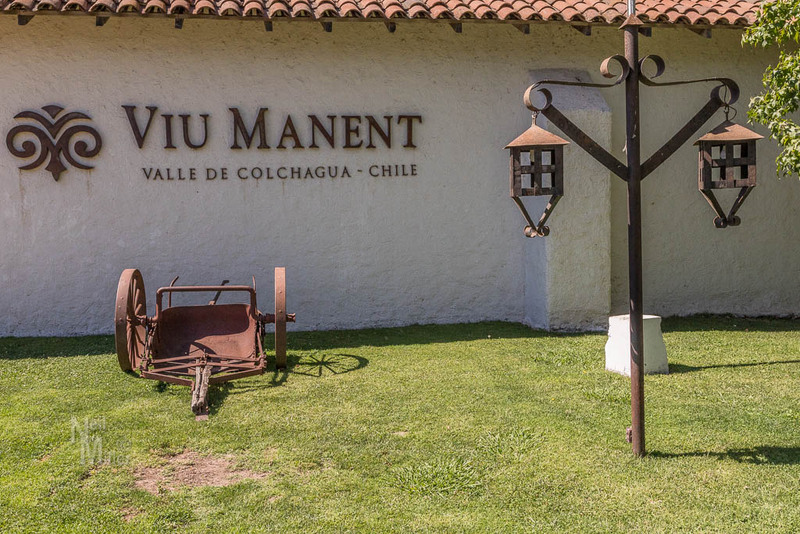 The hotel was across the street from a park and next door to the Colchagua Museum, both of which I visited during our stay. 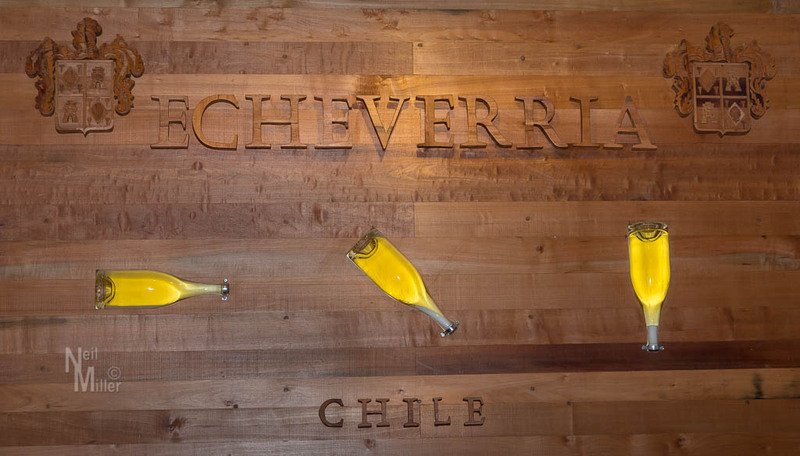 Without question, the “party” winery of our trip was Viña Echeverría. Presided over by Roberto Echeverría, Sr., it is truly a family operation. Everything was done to make us feel welcome, right down to flying the Canadian flag at the entrance to the property. As we got off the bus we were met by a welcoming party led by Roberto Sr. (Poppa). Our visit began with a presentation on making sparkling wine (presented by Poppa) along with, of course, a sample. Roberto Sr. now specializes in sparkling wines while Roberto Jr. is the chief winemaker for the balance of their wines. Following the presentation, we went on a tour of the winery before making our way to a garden area where we tasted the many wines the family makes. An incredible barbeque dinner in the garden followed in which the food just kept coming. Post-dinner we enjoyed a trivia contest at which pretty well everyone won some kind of prize. The evening was topped off with drinks on the terrace of the old family home. Roberto Jr. demonstrated his skill at opening wine bottles with a sword! The party would have gone on all night but for the fact we had a fairly lengthy bus ride back to Santa Cruz. The following morning we checked out of our hotel for our return journey to Santiago, with a stop at Viña La Rosa in the Cachapoal Valley. The gardens surrounding the buildings were gorgeous and of course featured countless rose bushes. Our visit started with a tasting and a presentation on the effect of terroir on wine. Following the presentation we were taken for a tour of the Cornellana vineyards with, of course, a tasting of Cornellana wines among the vines. After enjoying the wine and a stroll around the vineyard, we returned to the main property at Vina La Rosa for lunch on the lawn. 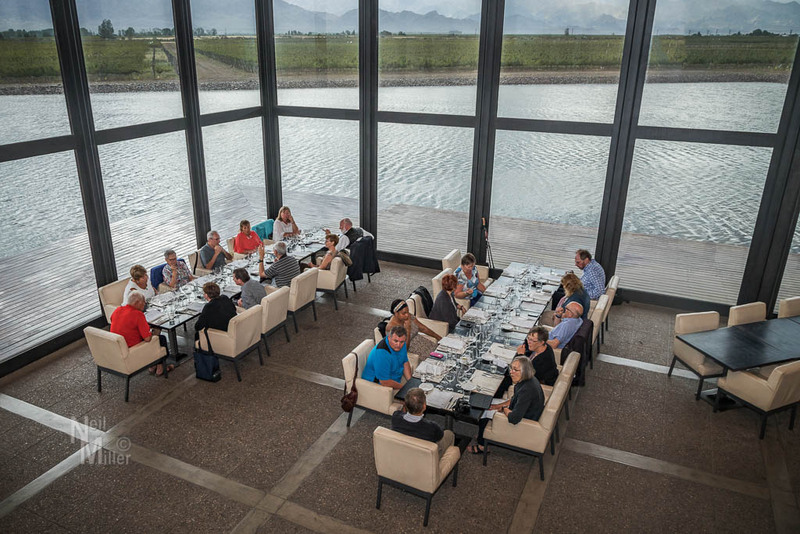 Not only were we enjoying some incredible wines on our tour of Chile but we were being extremely well fed! Lunch was absolutely delicious. The following day was our final day in Chile. 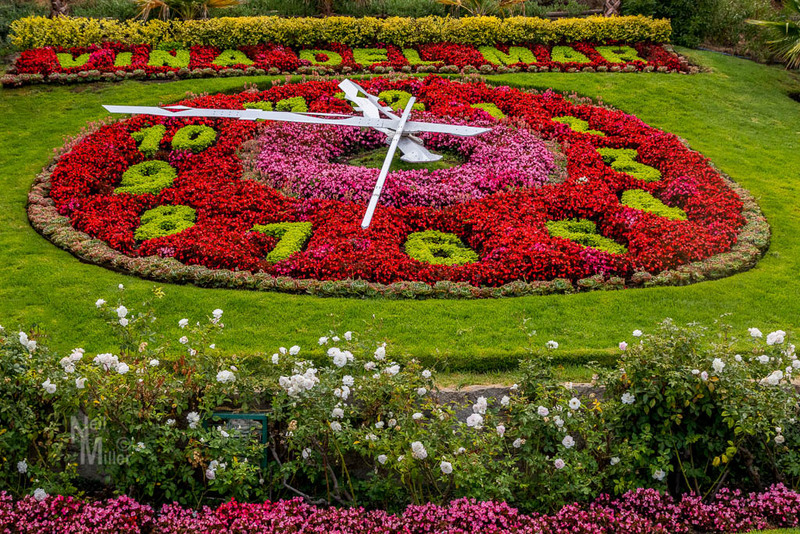 Early in the morning we boarded our bus for a trip to the seaside cities of Viña del Mar and Valparaiso. 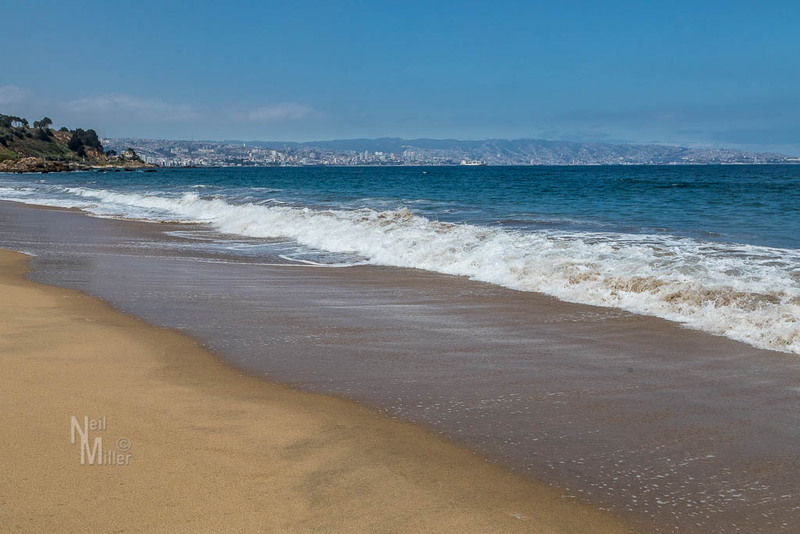 Viña del Mar featured some beautiful beaches and was obviously a tourist mecca. In Valparaiso we took a short walking tour through one of the neighbourhoods before taking an old funicular down to the main square. The square, in front of an old naval building, featured a beautiful statue honouring a naval battle of 1879. We returned to Santiago in time for a final dinner to say farewell to Chile. In the morning we would fly to Mendoza, Argentina. Our Opimian Wine Tour in Chile continued, the next day, with a cooking class in the morning followed by tastings with two different wineries. The cooking class actually commenced at the market where we met our chef and followed her around as she purchased supplies for our class. Back at the kitchen, and of course in need of refreshment, the first order of business was making Pisco Sours … a drink that by now we had quite come to like. Then, while being fed appetizers and sipping wine, we participated in making empanadas and ceviche. Our morning finished off with lunch where we got to consume the fruits of our morning’s labor. This was my first time trying ceviche and it was actually pretty good. And while the empanadas may not have been as nicely formed as a local would have made, they tasted pretty good. In the afternoon it was off to the Maipo Valley to visit Antiyal. 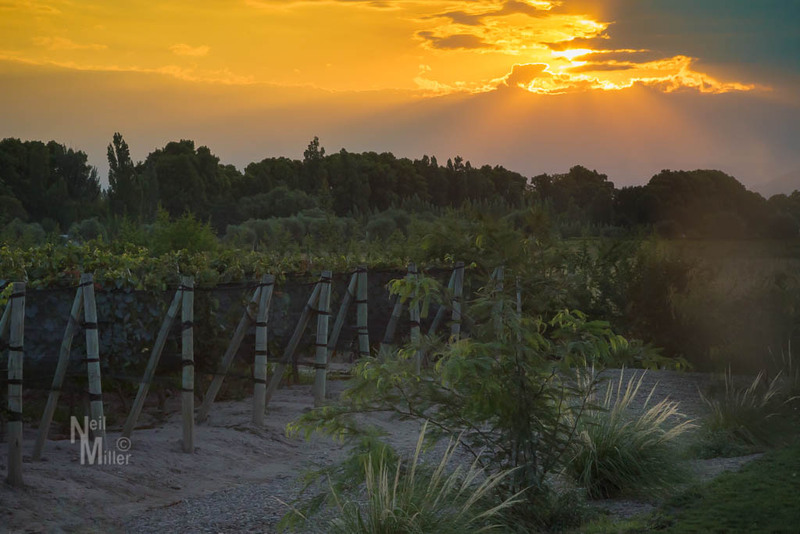 The winery, owned by Alvaro and Marina Espinoza, grows grapes biodynamically. While you might describe it as “organic growing on steroids”, it ensures that the land is kept in a good state for future generations. And while the methodology might seem a bit “out there” there is no denying Alvaro’s passion for wine and biodynamics. And the “proof is in the pudding (or wine)” as he produces some amazing wines. Following a tour of the vineyard and winery, as Alvaro described his methodology, we finished up with a wine tasting, accompanied by incredible appetizers, under the shade of a grove of trees. We had a chance to have a bit of a snooze on the bus as we returned to our hotel in Santiago and another wine tasting that evening. The winery of one of the new suppliers to Opimian was too far from Santiago for us to travel to on our tour, so they brought the tasting to our hotel. Representatives from Las Veletas did a presentation on their winery in the Maule Valley. More great wines from a great addition to the Opimian family!